A TOTAL of 5,057 candidates were allotted seats in junior colleges in the second merit list announced Thursday for admission to bifocal courses across the Mumbai Metropolitan Region. 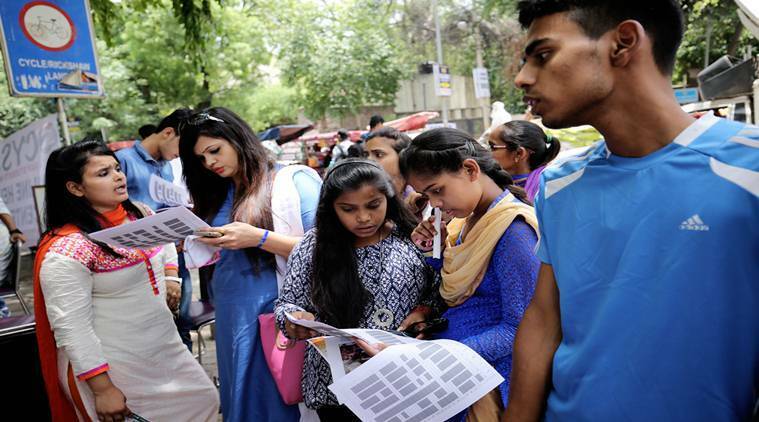 The cut-offs have dropped significantly at some colleges compared to the first merit list. For instance, the cut-offs at Jai Hind College dropped to 91.83 per cent for Computer Science from 93.6 per cent in the first round. In the electronics stream, the cut-offs dropped from 91.8 per cent in first list to 88.8 per cent now. Mithibai College, too, recorded a drop in cut-offs— Computer Science cut-off dropped from 94.6 per cent to 92.6 per cent and that for Electronics dropped from 91.8 to 89.2 per cent. In bifocal courses, students are allowed to drop a subject such as biology and a second language subject and take up a single 200-mark paper such as computer science and electrical maintenance. Such courses are more popular among Science students who wish to pursue engineering. Over 14,500 candidates have applied for 26,740 bifocal seats in junior colleges across greater Mumbai, Thane, Raigad and Palghar. This is the first time the education department has released separate merit lists for bifocal courses. In a week since the first merit list for bifocal courses, only 5,072 admissions had been confirmed by Thursday. In the second round, 4,899 candidates were allotted seats in the Science stream— almost half the number of applicants. In Commerce, of the 284 applicants, 156 were allotted seats. Candidates have to confirm their admissions by June 30. Most number of applications were received for Commerce stream. Over 1.43 lakh candidates have sought admission in the field. This accounts for over 62 percent of the total 2.31 lakh applications received this year. Science remained the second favourite with 66,976 applications. The Arts stream saw 19,459 candidates interested in the subject.